As a dog owner, you’ll understand how frustrating it can be when your pooch scratches your legs. Their little nails can get really sharp over time. This is why you should consider investing in the best nail grinder for dogs. 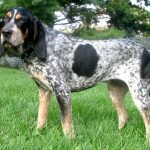 Below, you will find comprehensive dog nail grinder reviews and tips for choosing the right one for your dog. 1.1.7 Does It Stay Cool While Grinding? 1.2 Why Grind And Not Trim Dog Nails? When looking for a professional dog nail grinder, you’ll need to be very cautious. You’ll want to choose one that is gentle and almost silent. If you do not, it might scare your dog. Below, you’ll find features that need to be considered when buying a dog nail grinder. First and foremost, you should know that dog nails are pretty tough. It is going to take a lot of power and speed to grind down the nail. 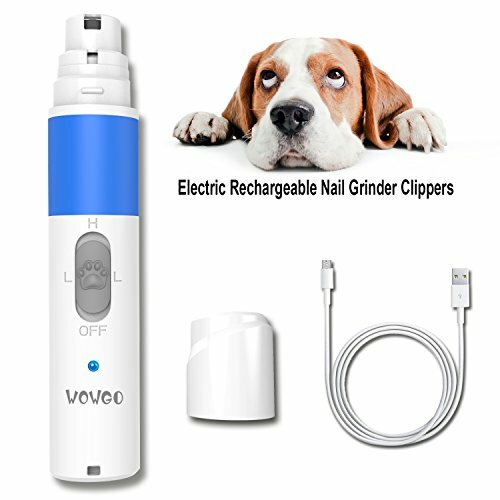 The best pet nail grinder will be powerful enough to get the job done without causing the dog any harm whatsoever. There are tons of grinders out there. Some of them are rechargeable, while others use replaceable batteries. A rechargeable grinder will likely be a little more expensive initially. However, it will save you a lot of money over a period of time. Plus, you won’t have to worry about running out of batteries. You can always just plug in the cord and wait a bit. It is also important to choose between corded and cordless. A corded dog nail grinder will likely save you a little bit of money. However, it’ll also greatly reduce your freedom. If you want to be able to grind your dog’s nails down outside, you should definitely stick with a cordless model. Just remember that battery will be far more important when going with cordless. It is a good idea to choose a grinder that offers changeable grinding tips and different grits. Some grits are far coarser than others. 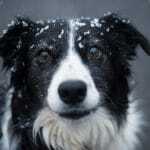 If the grit is too rough, it could hurt the dog or grind the nail down too quickly. Choose a grinder with changeable tips to prevent this from happening. If you’re looking for the best Dremel for dog nails, you need to choose one that offers various speeds. As mentioned above, dogs can be frightened by the sound a grinder makes. This is definitely true if you have a smaller dog. 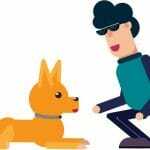 If your dog gets scared, they’re going to jump and wiggle. This could cause them to get injured by the grinder. Having a grinder that offers various speed levels can help you avoid this problem. You’ll be able to find a speed that doesn’t frighten your boost. You should also go above and beyond to choose a grinder that is handy and ergonomic. Pick a Dremel dog nail grinder that is comfortable in your hands. It should be ergonomic to ensure that it’ll perfectly fit the shape of your hand. Your grinder also needs to be tough. After all, there is a pretty good chance that you’re going to drop it at some point or another. Does It Stay Cool While Grinding? Grinding anything is definitely a tough process. It requires a lot of horsepower. With this in mind, it is true that a lot of grinders can get pretty hot during operation. If your grinder gets hot, it is not going to be good for you or your dog. The grinder could get hot enough to burn your skin and your dog. 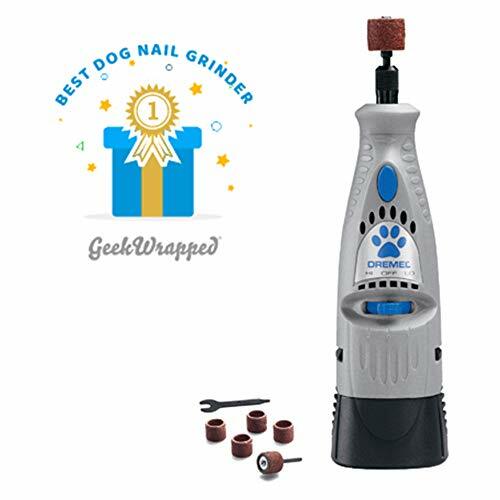 The best dog nail grinder will remain cool and easy to use from start to finish. Why Grind And Not Trim Dog Nails? If you’ve ever clipped your dog’s nails, you already know that it is dangerous and tough. It is possible to hit the quick and cause lots of damage. This can be avoided by using a grinder. A grinder is far easier to use and you’ll be able to avoid hitting the quick. However, you will still need to introduce your dog to the grinder slowly. Take your time and get them comfortable with it, before grinding their nails. People do not treasure the thought of their pet scratching holes in their furniture. Instead of taking risks, they keep their pet’s nails groomed. 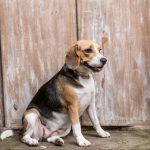 Of course, professional pet nail grooming services can be extremely expensive, even more so because it has to be repeated monthly. With the Dremel 7300-PT Pet Nail Grooming Tool, you will no longer need to transport your pet to the vet for this procedure. The tool is designed to ensure comfort, efficiency and perfection. The Dremel 7300-PT comes with a variety of sanding drums and bands. This allows owners to grind their pet’s nail in stages. Instead of taking off the entire nail with a clipper, you just work your way from one sanding drum to another. The end result will be groomed nails that are smooth and short. While it may take a bit of practice and patience to get your dog comfortable with the Dremel 7300-PT Nail Grooming Tool, it works like a charm. To give its customers peace of mind when they invest in the 7300-PT, Dremel includes a two-year warranty with each purchase. If at any time from the initial date of purchase and up to two years, you can return the tool for replacement or repair. This is a no-hassle warranty, so you do not need to deal with any aggressive personnel. The WOWGO is a professional pet grooming tool that offers superiority and convenience, when it comes to grooming pet’s nails. With three different sizes and two rotating speeds, this tool is suitable for a broad range of breeds and sizes of pets. Simply choose the suitable size port and then easily adjust the speed to the desired level and you can easily trim the nails of every animal from a dog to a rabbit. Some animals don’t react well to loud, sudden noises. This could easily scare them and cause them to jump or fall and get hurt. If you are familiar with most grinders on the market, you know that they make quite the racket. Fortunately, that is not the case with the WOWGO. Grinding and trimming your pet’s nails is probably not an enjoyable process, but that could change when you invest in the WIWGO Pet Nail Grinder. The motor is extremely quiet, so you can cut your pet’s nail with ease. In addition to this, the motor also has a low vibration design, which makes the entire process even more convenient. The Oster Professional Nail Grinder Kit is ideal for dogs of all sizes. Of course, it will be up to your dog to sit still through the process. But, if you can manage this, you will no longer need to transport him/her to the vet for this procedure. In addition to this, you will save a lot of money over time. 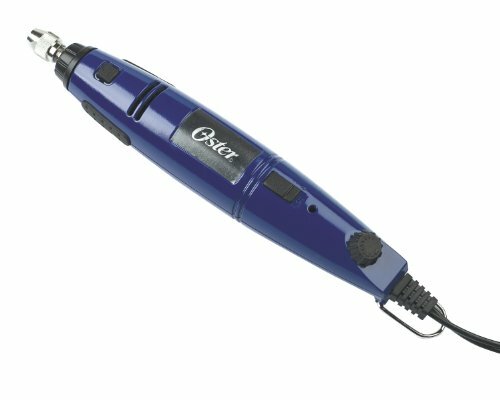 Unlike some pet grooming tools, the Oster Professional is lightweight and slender, with an ergonomic design. In fact, it will fit in your hand like a glove. It also has ridges that will offer you full control throughout the grinding process. 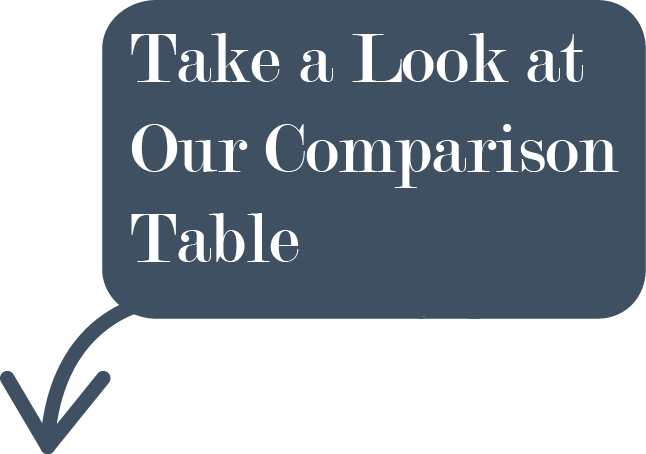 The tool is so comfortable to hold that you can utilize in your salon for hours and never experience any discomfort. The Oster Professional Pet Nail Grinder is ideal for small and large breeds. You just need to switch from one grinding band to another until your dog’s nails are perfect. Oster is a brand that is known for its high-quality grooming products and this kit is no different. The Conair Pro Nail Grinder is a great option for pretty much any dog. It can accommodate all sizes. Plus, this tool is quiet. If your dog is afraid of loud grinders, this might be the one that you’re looking for. It is also equipped with interchangeable sander attachments. This ensures that you’ll be able to continue using the grinder for a long time to come. Despite the grinder’s affordable price, it is definitely capable of getting the job done without harming your pooch. What else should you know? Continue on to find out. A powder cord might seem like a hassle, but it can be beneficial too. After all, you never have to worry about replacing or recharging the batteries. Just plug in the cord and you’re good to go. Plus, the cord is pretty long. Finally, the cord will actually save you money in the months to come. The Conair Pro Pet Products Nail Grinder isn’t perfect, but it still comes pretty close. It works great for small and big dogs. However, it is slightly slower for larger pooches. It is quiet and that makes it a good choice for anxious pooches.